We are a full time, year round Vancouver Island fishing charter service offering you the flexibility of Saltwater and Freshwater fishing trips. 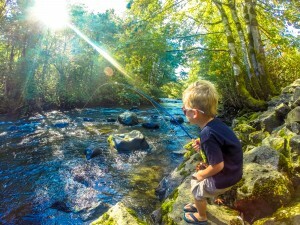 We strive to make your visit to Vancouver Island the best trip ever, by offering fun and relaxing fishing trips. 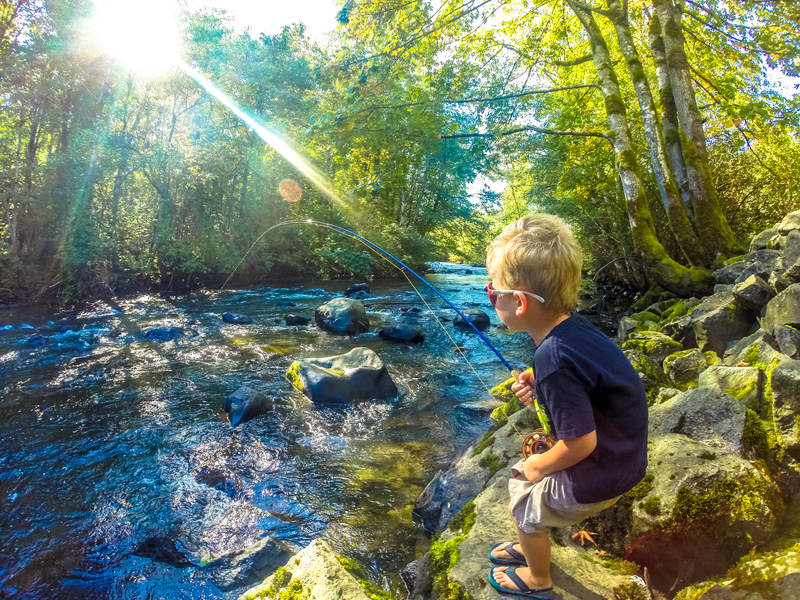 We are based in Campbell River British Columbia, known worldwide as the “Salmon Capital of the World.” Campbell River is situated in a prime location, as it is central to many very productive fishing waters of Vancouver Island. The waters surrounding the Campbell River area are very sheltered and offer calm seas, along with great fishing. There is no ocean swell, a common cause of sea-sickness. 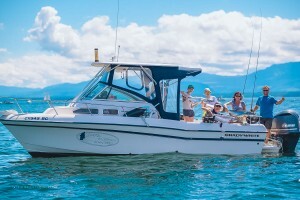 For our Saltwater Vancouver Island fishing charter we operate 23’ – 28′ Grady White or equivalent fishing boats, which are covered, heated and have onboard washrooms. Our boats are outfitted with the best equipment we can find to make your fishing experience trouble free. 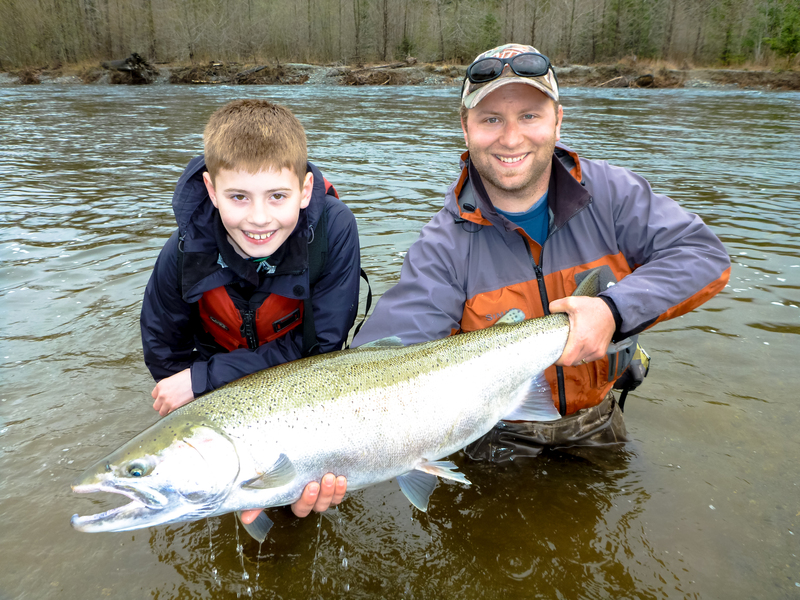 We fish many different methods for Salmon, Steelhead, Trout and Bottom fish, so we are sure that we will have what you are after. For River and Lake trips we use 12-14 foot self-baling river rafts when water levels allow, and gentle walk and wades in rivers and streams in search of your desired species of fish. Transportation to and from our river destinations is provided in comfort with our spacious and comfortable new model 4X4 pickup. 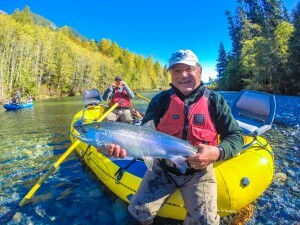 We are equipped for all methods of fishing, including extensive fly fishing. We invite anglers of all skill levels, as we are very patient and understanding of beginner anglers. With personable and professional Vancouver Island fishing guides, your Vancouver Island fishing charter is sure to be a success in more ways than one.